A super happy Santa image Pat and like the vintage feel to it as well. Very cute card and love the image!!! 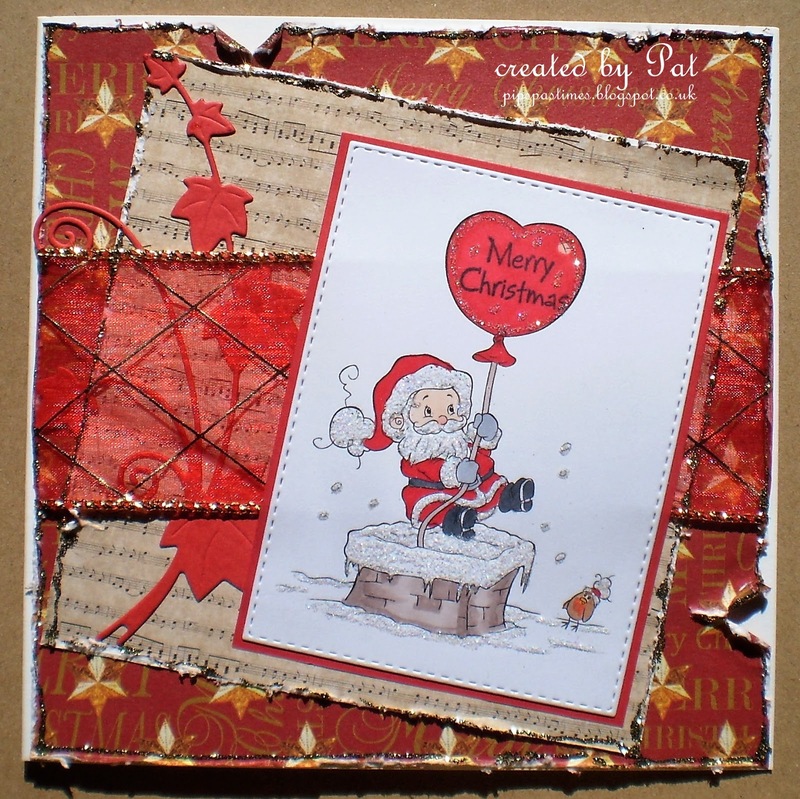 A fun and fabulous card Pat, love all the glitter on this cute Santa image, your design and papers are gorgeous. I love this Santa image, Pat, and he looks fantastic with your colour combo. That fab ribbon and the Glamour Dust sets it all off so well too. Hope you have a good weekend with some sunshine - we're forecast for a storm this evening, but the sunshine is back again next week. 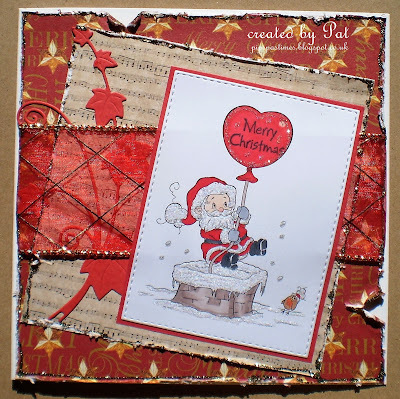 Aww this is such a sweet image Pat… I LOVE the scrummy papers and the pretty ribbon and ivy.